At Urban Landscaping we excel in providing sustainable and environmentally sensitive landscaping solutions that are aesthetically pleasing and above all, functional to your needs. Owner and operator, Ceri Wagnell is a multi-award winning designer with a passion for timeless gardens, natural products, beautiful accessories and lush Mediterranean style planting that has gained Empire Lane a strong reputation in the landscape design market. Previously a jewellery designer, Ceri uses her attention to detail, creative flair and design expertise to create personalised gardens. By marrying her client’s wish list, personality, lifestyle and their home’s architecture with her knowledge of diverse and sustainable plants, new technologies, materials and products, each garden has is a beautifully unique compilation of all these elements. 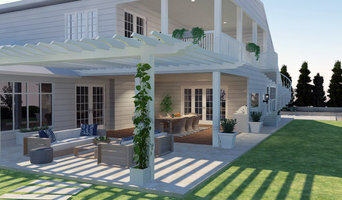 Designs are presented in 3D format to enable clients to fully visualize their own new outdoor space. Since 2009, Ceri has been involved in four Show Gardens at both Garden Week and the Perth Garden Festival, with three of these displays taking out the top awards. Ceri's classic contemporary designs have been regularly published in magazines, the Sunday Times and the West Australian newspaper. SPRINGGREEN Landscapes is a Multi Award boutique Landscape Design, Consultancy and Project Management company that is committed to outstanding design with sustainable, cultural, social and environmental outcomes. We provide a collaborative consultancy that responds to the site and our clients’ vision for the project. 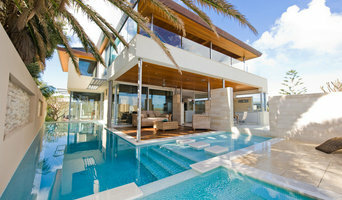 We have a broad range of experience in High end residential, Commercial and Resort from Mauritius to Australia. SPRINGGREEN Landscapes, focuses on creating practical, functional and environmentally sustainable outdoor spaces that capture the imagination. Incorporating the client's own visions and concepts, Springgreen Landscapes implement innovative design techniques that enables the indoor and outdoor areas to become a seamless living environment. Plantform Landscapes is a fully insured, WA owned and operated landscape design and construction business servicing the commercial and residential Perth Metropolitan area. Plantform Landscapes create eye catching functional landscapes through meticulous design and thoughtful construction. From consultation to construction Plantform Landscapes can help you achieve your ideal outdoor space. With 10 years experience in the landscape design and construction industry you can be assured of great service and quality workmanship. 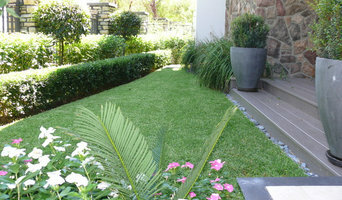 Pollinate Garden Design is a boutique garden/landscape design business servicing the Perth Metro area. We endeavor to deliver clients with the highest standard of service, though individual design and beautifully executed gardens. With 10 years experience Pollinate has produced a wide variety of gardens unique to their customer's needs. It is my belief that working one on one with customers from the design stage to the completed project delivers the best possible outcome. Through this practice, you finish with a garden that is uniquely yours, not a replica of everyone else's garden. By searching here you have begun a dream of having that space that makes you feel at home, takes your stresses away and lets you enjoy entertaining with friends and family. Pollinate Garden Design looks at the practical purpose of a garden, not overselling in unnecessary materials and products you don't need, but a simple commonsense ideology not requiring endless hours of maintenance and upkeep. It's as easy as a chat. So let us fulfill your garden dream. Creating gardens that inspire. Revell Landscaping are regarded as one of Perth’s premier landscape Companies, offering you the highest level of combined knowledge and expertise to tailor the perfect landscaping solution to meet your needs. Project Artichoke was established in 2005, as Kerri Russell Garden Design. With a vision to integrate her designs with high quality construction, the business has evolved into Project Artichoke. Based in Perth, Western Australia, we specialize primarily in residential design, but have the scope to look at anything from a simple planting layout to fully specified commercial designs. Kerri focuses on delivering a boutique style service that encompasses value design, thorough detailing and individual attention. From the consult, and right through the construction process, we will work with you and our trades to ensure we reach an outcome that surpasses all expectations. With expertise and accredited qualifications in both Garden Design and Project Management, along with over 8 years experience as a Senior Landscape Designer for Tim Davies Landscaping, you can be sure that you are in professional hands. 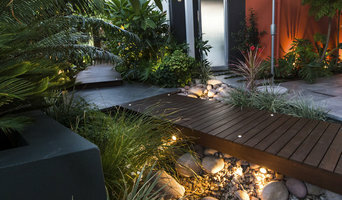 Naturesque is a Perth based Landscape Architecture and Design studio, creating landscapes for living. The landscapes we design aren’t just visually pleasing — they’re comfortable, personal, inviting, water-wise, and compliment the architecture of your home, so your living spaces don't simply end at your backdoor. With a dynamic design process and environmentally-sensitive approach, we create innovative, functional outdoor spaces that thrive in our unique Western Australian climate. Creative designs result in beautiful gardens. 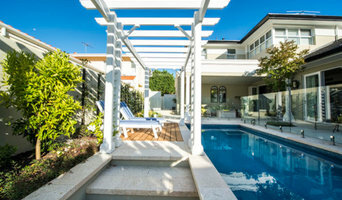 Award winning Wild About Gardens is a sustainable landscape design company dedicated to creating attractive and useful spaces which bring enjoyment and pleasure to our clients……visit our website www.wildaboutgardens.com.au for more information. Houzz is a great place to start your search for the right Perth, Western Australia landscape architect or designer. You can either browse outdoor photos and find professionals linked to them, or you can browse our professional directory, see their latest projects, read reviews, and narrow down your search based on your style preferences. Once you’re down to a few, reach out and get some quotations to make your final choice.